Starting, running, and managing a small business can freak most sane people out. The world expects entrepreneurs to shoulder all the risk, go through the sacrifices, and expect you to do all that without spending more than you can earn. Yet, most startups fail because they hire quickly, burn cash real fast, and have frightening spending habits. The startup community at the San Francisco Bay Area is bursting at seams with too much money concentrated in one place, according to Wharton. For instance, Facebook acquired WhatsApp for a whopping sum of $19 billion. Yet, Mark Zuckerberg has no clue on how Whatsapp fits into Facebook’s strategy or how Facebook can monetize it. That’s the trouble with too much cash, high valuations for nothing, and excess capital. But there’s trouble on the other side too. Countless small business owners don’t have basic cash levels for survival – let alone starting and running a business. Most business owners struggling with everyday business problems related to marketing, cash flow, and profitability. We believe that bootstrapping is like organic food for small business – it’s boring, but healthy. It’s not glamorous, but it’s old-fashioned. Small businesses do better with Guerilla marketing – the kind of marketing that doesn’t cost much but gets you the results. Steli Efti of Close.io is a proponent of being “shameless” when it comes to anything you do with marketing (among other necessary things). Sending out a cold mail? Doing a cold call? Going out to meet a potential client unannounced? Setting out to visit a trade show? No matter what you do, guerilla marketing demands that you develop the art of shamelessness. You don’t have to heave, push, and groan. You’d just have to “ask” – whenever you can. You need sales. You need marketing. You’d need to get the word out. But, what if we could arm twist you and force you “not” to spend on anything at all? No funding, no bank loans, and we forbid family and friends to loan you any money at all? Let’s also assume that you have no choice but to start your business (so options like getting a job are ruled out). There’s only thing you’d do then: hustle. Hustle involves cold calls, cold emails, walking into offices to meet strangers, attending local meet ups, gate crashing conferences, creating partnerships with other companies, networking, and more. Hustle makes you do more with less. It forces you to earn instead of spending. 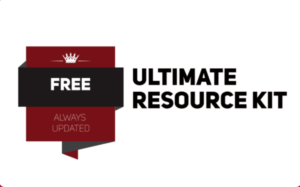 Real hustle keeps you on the edge, gets you results fast, and helps you stay sustainable. Hustle is also what makes you a real entrepreneur. Be cheap with your time, money, and the effort you’d have to put in to run your small business. Our society is used to consumption madness — not a day passes by without showing off, spending recklessly, and adopting unnecessary expenses. To succeed with guerilla marketing, you’d need to get cheap. Don’t get me wrong: cheap isn’t “cheap”; sometimes cheap is smart. Jason Fried of 37Signals (Basecamp fame) advocates using project collaboration tools and to avoid physical offices altogether (unless you are into retail, which) in his book Rework. How exactly can you be cheap? Build your own website. Don’t bother hiring developers. Unless you need extreme customization, a free business website builder can do a better job than actual designers and developers. StudioPress Themes & The Genesis Themework: Neatest, cleanest, fastest, SEO out of the box, and completely bloat-free. Themeforest: Do I need to say anything? It’s popular. Enough said. Strikingly: Build websites in a snap. Drag. Drop. done. Sell products and services with Ecommerce options available. Weebly: It just evolved and grew into a mature platform with “Carbon”. Build responsive websites by dragging and dropping. SmugMug: A complete photo sharing, photo hosting, and ecommerce solution built for photographers. Never spend on any SaaS tool, app, or application if you can’t justify the cost. Don’t invest in an office. Stay at home. Work off the kitchen table. Maybe you can look for a co-working space, maybe? You don’t have to reinvent the wheel. You just need enough inspiration to kick into you a high gear and into the action mode. There’s no shortage of inspiration, thanks to the Internet. For instance, check out these 122 different Guerilla marketing campaigns. Neil Sisson of Tweak Your Biz lists out another 100 Guerilla Marketing Ideas for you to help grow your business. Remember that you only need a spark, an idea, and enough motivation to do something similar. 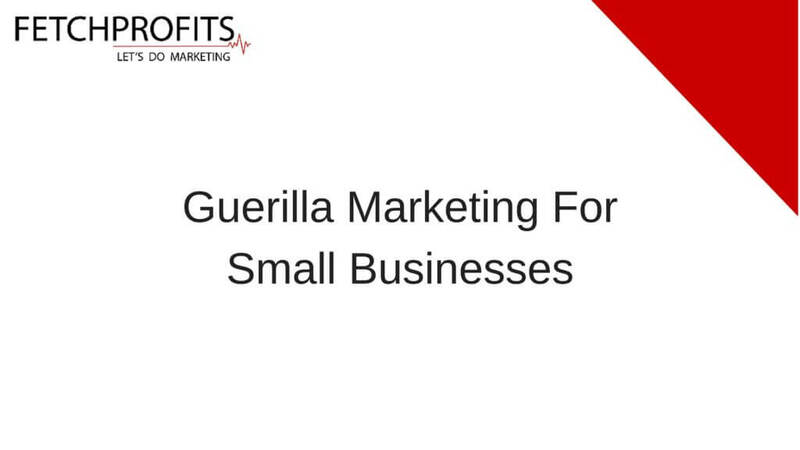 How do you plan to do guerilla marketing for your small business? Tell me all about it.